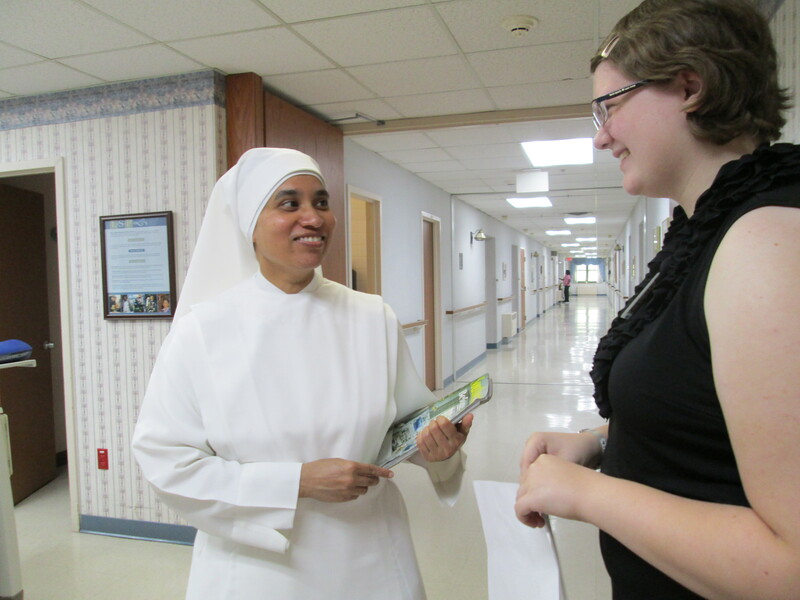 Julia had no expectations when she arrived to the Little Sisters of the Poor, St. Augustine Home. 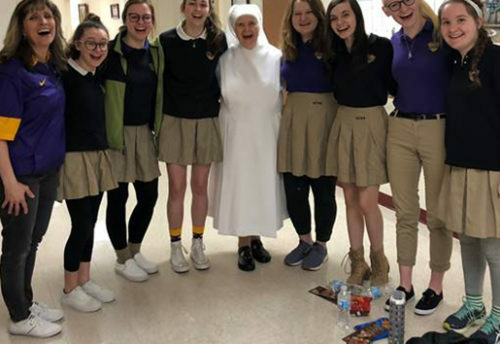 She only knew she was here for six weeks enrolled in the Spring Into Service Program for young Catholic college age women who are actively discerning a vocation. Sarah and Hannah had no expectations as they entered into the same program at the St. Augustine Home at the same time. Julia commented she had never engaged in a program like this before; Hannah did not even know who the Little Sisters of the Poor really were and Sarah found herself claiming the same. The first thing Julia noticed as she began working with Residents was the fluid balance of engagement between Residents, staff and Sisters. Julia started working in Recreation. She also spent time serving in the Dining Room. 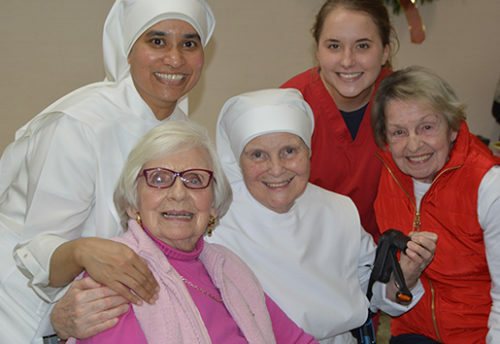 Julia commented, “Everyone loved the Residents; this is the heart of the Little Sisters of the Poor charism; loving the Residents. I most enjoyed the one on one time with the Residents and the characteristics of the Recreation program”. Julia’s favorite memory was staying with one of the Residents as he was passing on and God was calling him home. 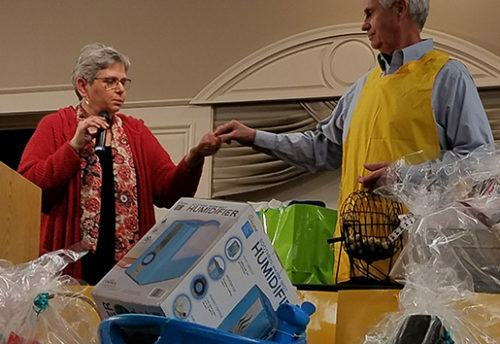 “The sisters were there bed-side … we were praying, escorting a soul into eternal life … there was the anointing of the sick … prayers … it was beautiful.” For Julia this moment offered a sense of closure and meant a great deal to her. Her Grandmother had passed on and Julia was unable to be there. This was a meaningful moment Julia shared with the Sisters and Resident. 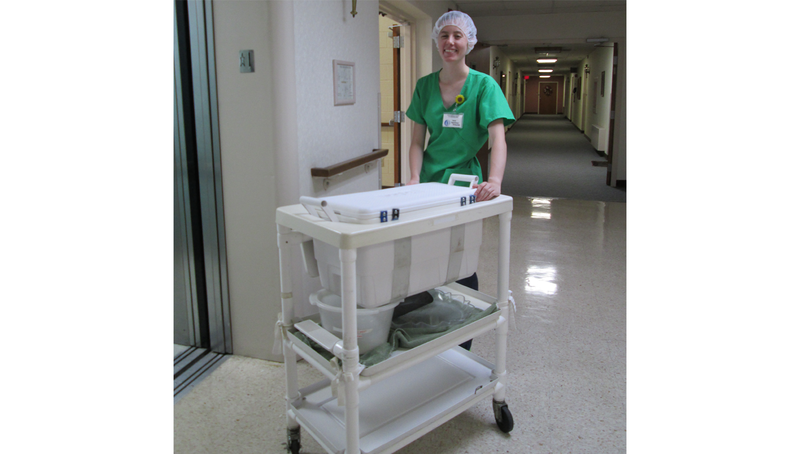 “In working with the Residents, I have gained knowledge of how to relate to people in some of their weakest and most vulnerable moments by being compassionate and offering support… I have found my favorite population of people in the Residents, here, at St. Augustine”. “I really enjoyed the Litany of the Hours… praying in community was good since I don’t know how to pray evening prayer by myself.” Julia loved the accessibility to Jesus in the Chapel all day especially at dawn and in darkness. What Julia learned about herself, in learning about Jeanne Jugan, was that God has His own timetable that doesn’t always match our own. Julia now knows it is okay if she has not heard Gods call for her vocation just yet. Her advice to other young people is, “Don’t be afraid to step out in faith; give religious life a closer look; make the most of all the opportunities you have before you”. Julia left us with this closing note, “It is good to learn more about vocations in general… explore all vocations”. Hannah jumped in helping in the Recreational Department and felt that she settled in easily and quickly. “I have learned a lot about the senior generation… I found that we had similar interests and the Residents were very interested in learning about me.” Hannah learned to play Euchre while being active in the Spring Into Service Program as this is a favorite of the Residents and they warmly welcomed her into their games. “It was so easy for me to acclimate” said Hannah. Hannah loved praying the Divine Office daily and the Hour of Silence. Hannah always had a “mystical idea of religious life” and felt that was an enormous barrier between where she was in life and the life of a religious. Hannah commented that now she realizes her prior conception is just not true. Being in the Spring Into Service program broke that barrier wide open and Hannah has decided to investigate other Catholic religious communities and to continue to deepen her discerning journey. “Jeanne Jugan started a wonderful ministry and I do want to know more”, said Hannah as our talk was coming to an end. “I am so happy I came; God is good all the time”. Julia, Hannah and Sarah left with reading materials on Jeanne Jugan gifted by the Sisters. All the ladies said they were anxious to read them and learn more about Jeanne Jugan. Our Spring Into Service ladies all left feeling they had gained from being here with us while they spent time making the Residents happy and learning about the religious life. 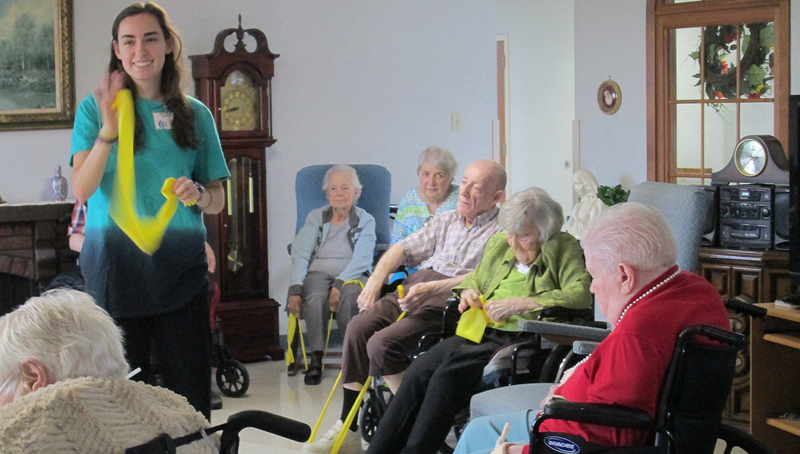 The Residents cherished time with Julia, Hannah and Sarah. The staff enjoyed their enthusiasm. They quickly became part of the St. Augustine Family and we will miss them.